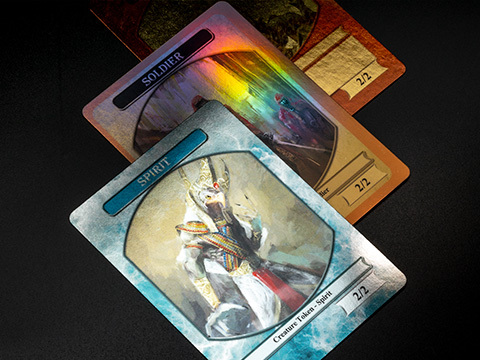 Holographic cards (also known as hologram cards, holofoil cards or simply as foil cards) is a popular type of cards for TCG trading cards or sports cards. It is essentially a wafer thin layer of rainbow foil skillfully applied onto a card before putting it through to print. It's true and no minimum custom holographic cards are only available at MPC made possible by huge investments in state of the art machines but more importantly, by our investments in our highly skilled workforce. 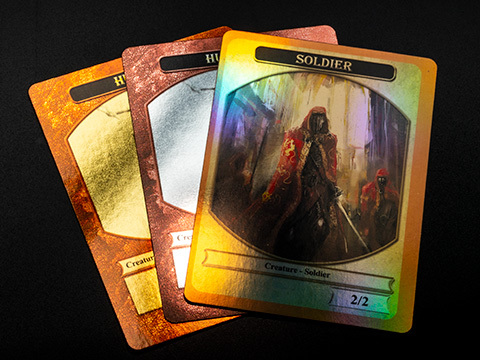 Supreme quality rainbow foil on professional card stock, manufactured to reduce warping which is common on hologram cards. Sizes: available on all our sizes. Available on 270gsm, 300gsm and 330gsm smooth card stock. 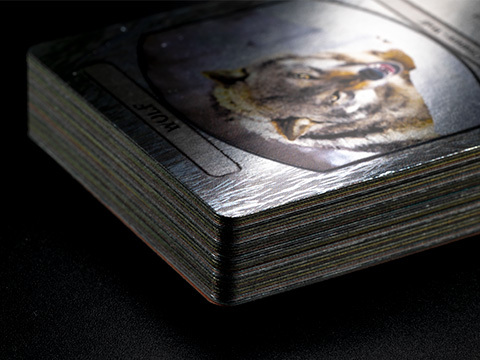 See a sample of MPC's custom holographic cards on video for closer inspection. It's easy! To select this option, choose Holographic under the print type options before you proceed to customizing your order.